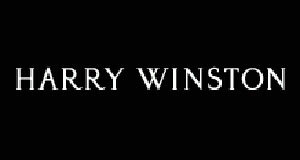 Harry Winston is one of those brands, which always offers its customers a superior product for the time measurement. These are true masterpiece. Today, Harry Winston announces the release of a new Premier Feathers collection. These are exclusive model with original dials, which reflect the boundless imagination of the best jewelers and master watchmakers. The uniqueness of the dials lies in their design, the dials are feathers. Nellie Sauna was engaged in decorating, which specializes in this kind of arts and crafts. To create each model took about 7 hours. One look is enough to see the skill of the designer. And each pattern is unique and exclusive in its own way. For the decoration of dials were used pheasant and peacock feathers. Models of the Premier Feathers collection are in round cases with a diameter of 36 mm and a thickness of 7.2 mm in white or pink gold. Bezel and the “lugs" of the case are decorated with 66 diamonds. Another diamond decorates the crown, which is set at the 3 o’clock position. Dials of the models are colorful feathers, the two hands, located in the central part and the logo of Harry Winston, adorning the dial at the 12 o’clock position. Models of Premier Feathers collection are collected on the basis of quartz mechanism with features of hours and minutes.